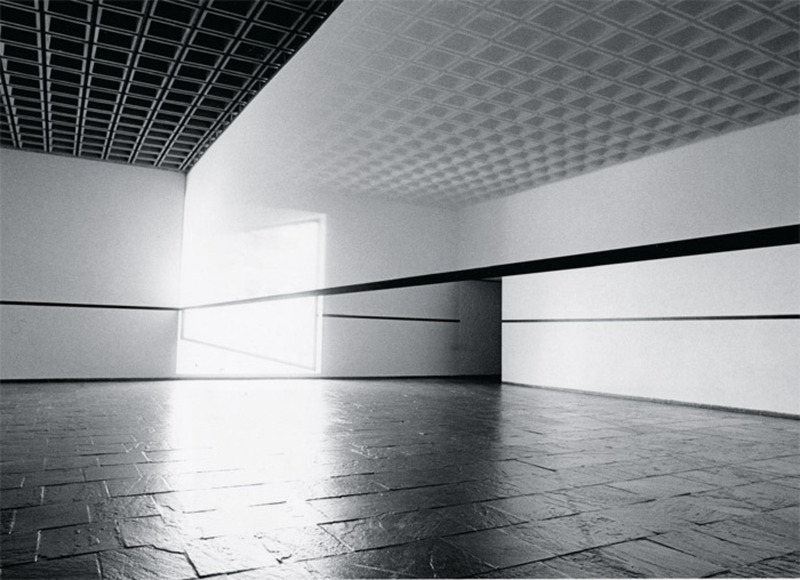 Robert Irwin, Scrim veil—Black rectangle—Natural light, 1977, cloth, metal, wood. Installation view, Whitney Museum of American Art, New York. Photo: Warren Silverman. Ellen Gallagher and Edgar Cleijne, Osedax (detail), 2009–11, still from the 7-minute 20-second, color, 16-mm projection component of a mixed-media installation additionally comprising a wood box, a bench, two slide projectors, four etchings, a photogravure print, and an aquatint print. The first major American presentation of Ellen Gallagher’s workopening a month after her concurrent survey at Tate Modernspans the past twenty years, ranging from the panels pocked with abject signifiers of race that put Gallagher on the map in the 1990s to a new series of paintings. 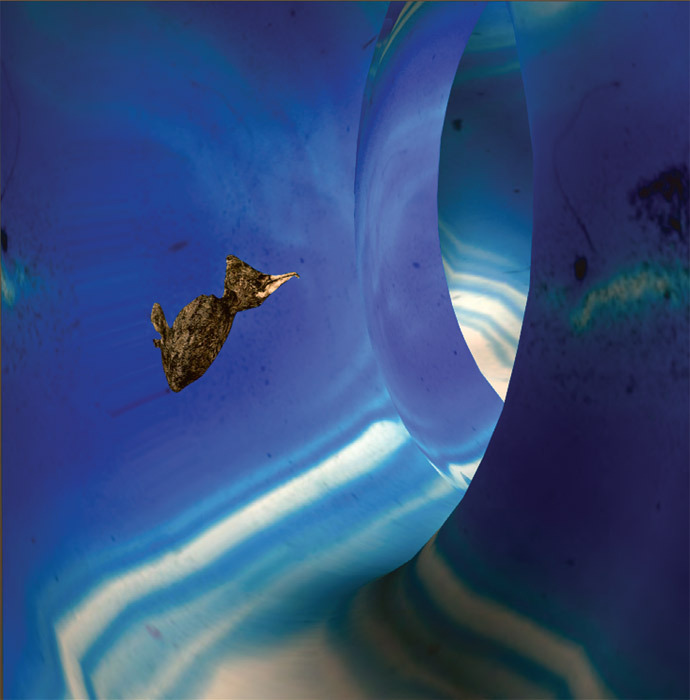 Drawings, prints, and film installations, including Osedax, 2009–11 (a room of 16-mm film and painted slide projections referencing whale-carcass-eating worms), made with her partner, Edgar Cleijne, will round out the selection. The show promises to traverse the artist’s long-standing themesfor one, the murky waters of the Atlantic, harboring souls lost to the slave tradeand to position her work vis-à-vis its appropriative and deconstructive strategies. Although identity politics was the crucible in which Gallagher’s peers forged their artistic practices, her work stands in oblique relation to such concerns, instead privileging the politics of forma position the New Museum show will perhaps reveal to be all the more legible now. In the South Bronx’s Forest Houses development, Thomas Hirschhorn and a team of local residents will soon begin constructing the fourth and final of the Swiss artist’s “monuments” to philosophers. This tribute to the great Italian Marxist Antonio Gramsci promises to be the most ambitious yet, with a significantly larger footprint than Hirschhorn’s previous ad hoc pavilions, including offices for a daily newspaper and a performance space for everything from poetry readings to philosophy lectures. This structural and functional complexity transcends mere public sculpture, testing Hirschhorn’s conviction that community-based and communally built architecture can generate a truly public spaceone that might foster the intellectual life and social engagement both of the underserved population in which it is anchored and of the city at large. Following the project, Diawhich has commissioned the venturewill publish a book documenting Hirschhorn’s complete “Monument” series, 1999–2013. Gustav Klimt, Gustav Mahler, and Egon Schiele are now household names, so excavated has the Viennese Secession been this past half century. To that roll call of eminences, we may now add Koloman Moser (1868–1918), the subject of this comprehensive survey, the designer’s first institutional show in the US. In 1903, already famous as a contributor to the Secessionist publication of sacred rites and adolescent rut Ver Sacrum, Moser went on to cofound the storied Wiener Werkstätte, whose textile, furniture, ceramics, wallpaper, and jewelry ateliers mixed nature and geometry, their patterns symbolizing the rationalism and luxury of the Austrian haute bourgeoisie. The Neue Galerie exhibition will gather at least 230 of Moser’s works, in all of the above media and more, and will occasion a catalogue with several scholarly essays on this brilliant if undercelebrated artist’s triumphs. Travels to the Museum of Fine Arts Houston, Sept. 29, 2013–Jan. 12, 2014.